For loved ones with a serious illness or end-of-life diagnosis, Samaritan Healthcare & Hospice can provide comfort, dignity and peace of mind. THERE ARE FEW THINGS MORE UPSETTING THAN A DOCTOR DELIVERING NEWS THAT A LOVED ONE HAS ONLY MONTHS TO LIVE. IN THAT MOMENT, A FAMILY IS F ACED WITH DOZENS OF DECISIONS ABOUT CARE, TREATMENT AND WHAT TO DO NEXT. It’s an overwhelming feeling that only compounds a family’s grief. When it seems like there is nowhere else to turn, Samaritan Healthcare & Hospice provides the support and resources families need. Founded nearly 40 years ago, Samaritan is South Jersey’s first, and most experienced hospice provider. From its humble beginnings in Moorestown, the not-for-profit provider, now based in Marlton, provides hospice care, palliative medicine and grief support, along with education and advocacy for patients living with advanced illness or facing the end of life in five South Jersey counties. Samaritan’s comprehensive offerings set it apart from others. Joanne Rosen, VP of marketing and public affairs, says that most of its patients are cared for in their own homes, which could include assisted living communities or nursing homes. When round-the-clock hospice care is necessary, patients can also access one of Samaritan’s two inpatient centers, located in Mount Holly and Voorhees. Samaritan’s free-standing center in Voorhees includes 18 private rooms, along with additional areas for families to gather, including kitchens, dining rooms and a meditation room all surrounded by beautiful gardens to create a peaceful, home-like setting. The Samaritan Center at Voorhees also features a community education center, with seating for up to 100 people for meetings and conferences. 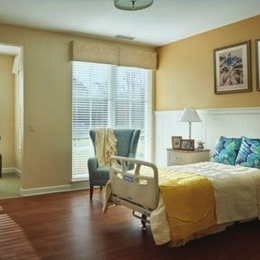 Samaritan’s Mount Holly inpatient hospice center is located within Virtua Memorial Hospital. This setting includes 12 private rooms with comfortable home-like décor and amenities such as a children’s area, spacious family room and kitchen, among others. Rosen says the comprehensive, fully covered hospice benefit may be appropriate when a person has a life expectancy of six months or less. Yet the average time that patients and families actually benefit from hospice care is only about two months. “So many people misunderstand hospice care until they actually experience the comfort, dignity and peace of mind, and then often say they wish they had called us sooner,” she says. Samaritan also provides palliative care services, which add an extra layer of support for people living with any serious illness at any stage of life. Palliative care experts help relieve distressing pain and symptoms to support the patient’s goals for care, treatment and quality of life. Samaritan’s palliative team of board-certified physicians and nurse practitioners provides consultations at the Virtua, Lourdes and Jefferson NJ hospitals along with two outpatient clinics. Rosen encourages families to learn more about what sets Samaritan apart, including its four-star designation in the “We Honor Veterans” program, Commitment to Inclusion and Diversity and Community Benefit program, all made possible by the generous support of the local community. 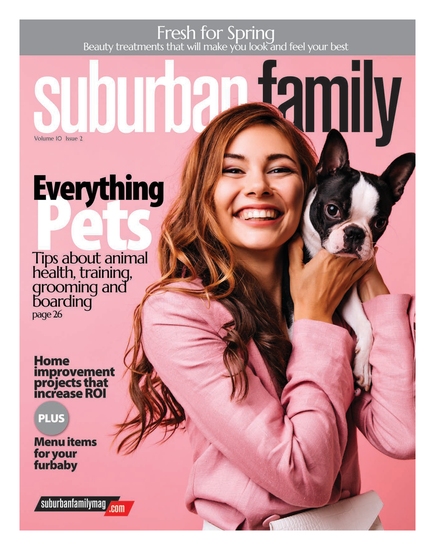 “We are proud of the community support that enables us to provide many added benefits for the people of South Jersey including grief support services, hospice care for the uninsured, complementary therapies like massage and music therapy, which can be comforting to our patients and their families,” Rosen says. According to The Conversation Project, only 27 percent of people have actually talked with their loved ones about end-of-life care. It’s a conversation people know is important to have, but one they are reluctant to initiate. “We talk about wills and powers of attorney. But we don’t always tackle the hard questions about end-of-life care–like, what does quality of life mean to you if you were too ill to speak for yourself? Or, what are your own goals of care?” explains Stephen Goldfine, MD, chief medical officer of Samaritan Healthcare & Hospice. Advance care planning helps get the uncomfortable and difficult conversations started. Individuals and families can discuss their personal goals of care and then formally document what those preferences would be if needed at some point in the future. There are many advance care planning tools and resources available, including Practitioner Orders for Life-Sustaining Treatment (POLST) forms, advance directives, living wills, Five Wishes and more. Samaritan Healthcare & Hospice has many of these tools and resources available online to help individuals and families establish their own advance care plans. For more information, visit SamaritanNJ.org/resources/end-of-lifeconversation-starters/.